Noodles have been an all-time favorite for people of all ages. They found their origin from China and Italy, where they were made from all-purpose flour. Due to their fast cooking time and immense flavors, they quickly became a popular dish. 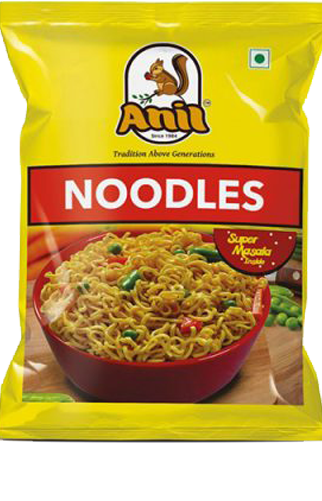 Our noodles have the qualities of fiber and protein which boosts the health of people while enjoying the taste. Noodles are usually made by boiling in water with salt and the packed masala. The noodles can be made healthier by adding chopped vegetables in it.